A Canadian couple has been convicted of letting their toddler son die of bacterial meningitis by failing to seek proper medical treatment for him. 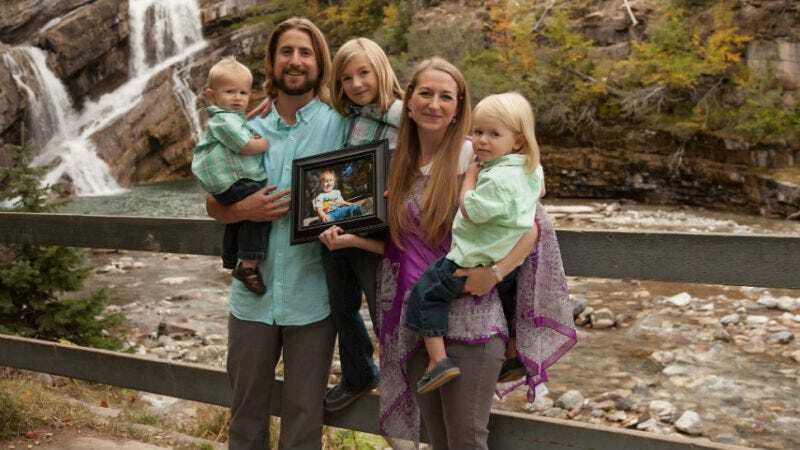 David and Collet Stephan gave their 19-month-old son Ezekiel a variety of naturopathic remedies, herbs and supplements, only calling an ambulance after he stopped breathing. The toddler was sick for nearly two and a half weeks before his death. David Stephan told police that natural remedies had worked in “every single scenario” in the past. He’s vice president of Truehope Nutritional Support Inc., a supplements company. CBC reports that there were gasps in the courtroom when the Stephans were convicted of “failing to provide the necessaries of life” to the boy. A Facebook page supporting the couple, Prayers for Ezekiel, is full of claims that the government and/or the medical establishment are attacking the family for their beliefs. Another page set up to support them, Stand 4 Truth, accuses the court system of “censoring” testimony that would exonerate them. The case has been covered on virtually every anti-vaccination and “natural health” blog, from the perspective that the Stephans are being crucified for opposing the medical establishment. The couple will receive a date for their sentencing hearing on June 13.